Even as the Mid-Atlantic coast is preparing for Hurricane Florence, the Caribbean is still recovering from Hurricane Irma of last year. And the effort to rebuild a youth sailing program in the British Virgin Islands has made its way to St. Michaels this week. Foxy Callwood, owner of the well-known "Foxy's Tarmarind Bar" on Jost Van Dyke, is performing two concerts Tuesday and Wednesday, along with the Trinidelphia Caribbean Band. Foxy’s has been a popular spot with sailors from around the world for 50 years. 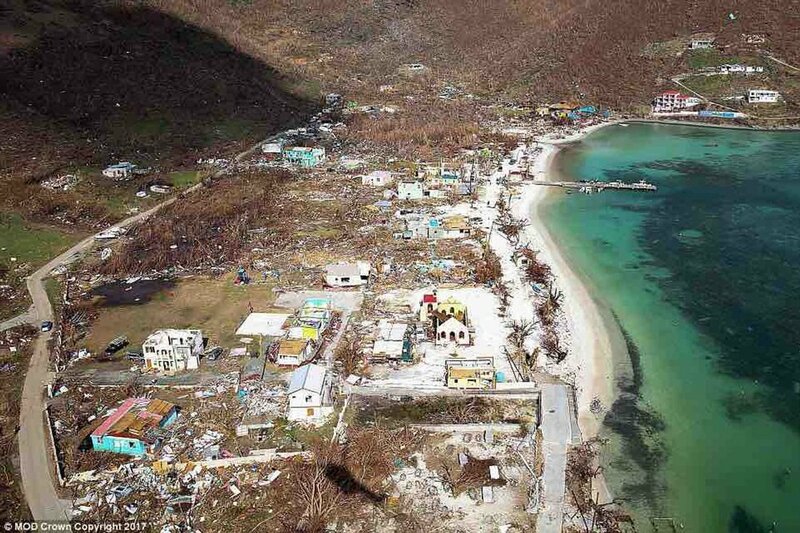 In this photo of the Jost Van Dyke beachfront just after Irma, Foxy’s Tamarind Bar is at the far end, covered with blue tarps. “The Caribbean Nights” program is happening, appropriately, at Foxy’s Harbor Grille in St. Michaels, a restaurant that was inspired by the Foxy’s on Jost Van Dyke 20 years ago. In addition to Foxy and his music, the event features a special Caribbean menu, island beer, and the famous Painkiller cocktail that originated on Jost Van Dyke. The concerts are Tuesday at 3 p.m. and Wednesday at 6 p.m. The funds raised will benefit the Jost Van Dyke Preservation Society, to restore Endeavor II, a 32-foot sailboat built at Foxy's and the three sailing dinghies used in the island’s youth sailing programs. The boats were damaged, along with much of the island, in Category 5 Hurricane Irma on September 6, 2017. Foxy’s bar was also badly damaged, but managed to re-open the next day and provided food to storm survivors on the island for a month. For tickets to the shows, or to make a donation to the Jost Van Dyke Preservation Society, click here.